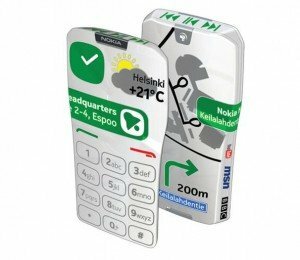 Nokia is currently released an innovative and future nokia phone concept called Nokia GEM phone. If you feel the display on the phone is not big enough, how bout turning the entire handset into a touchscreen? This is that Nokia Gem Phone Concept offers you that you can use with by touch on any part of the phone and operate it. This future phone was launched as part of the Nokia phone at celebration of Nokia Research Center 25th anniversary. You can see that GEM has the ability to change its appearance from camera to phone based on the functionality selected by its user. In fact, this phone can display advertising messages on its back. User could have the same image and click images at different zoom levels, such as when you read a map, it’s possible for you to zoom and pinch the map from the rear of the phone while keeping the view of a large scale area on the front. Smart idea huh? For example when you launch a camera app, Nokia GEM phone concept will automatically transform its body to look like a camera. So, what do you think guys about this concept of Nokia? Do you think Nokia GEM phone concept can beat iPhone! !